A single character immediately boosted all the way to level 80 -- DING! 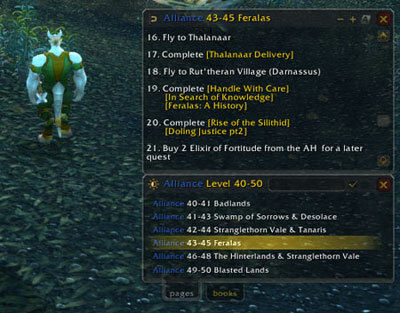 Any active World of Warcraft non-trial player can send a Scroll of Resurrection. To be eligible to receive a Scroll of Resurrection, your friend must have previously purchased at least one month of game time at any point in the past, and your friendâ€™s account must have been inactive since March 4, 2012 or earlier. A few other prerequisites apply -- such as a free upgrade to a Battle.net account for players who havenâ€™t played since 2009 or earlier -- so be sure to check out the FAQ for full eligibility details. Click here to start sending Scrolls of Resurrection. Alternatively, you may send scrolls from within the game by opening your friends list (mapped to â€œOâ€ in the default hotkeys) and then clicking on the Scroll of Resurrection button.